It's time for another video in our Academic Insights series – where we meet distance learning experts and get their top tips for academic success. 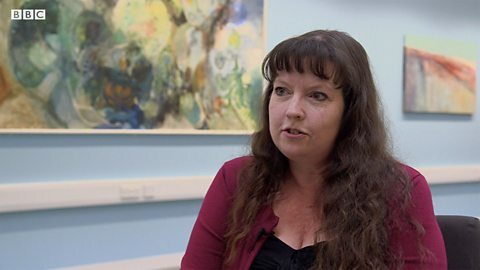 Tutor Leigh-Anne Perriman tells us about a challenge faced by many distance learners in their studies: staying motivated and finishing the course. Can you go the distance with your studies? Anyone who's done an academic course knows that motivation is a key factor for success – and when you're studying for a long time it's easy for your commitment to drop. Leigh-Anne is an experienced distance learning tutor, so she knows all about helping students stay on track with their studies. Let's hear her tips! To help you, take a look at the definitions of some key words from Leigh-Anne's video in the Session Vocabulary box. Stay motivated and succeed! Leigh-Anne answers your top questions in 3 minutes. I'm Leigh-Anne Perriman. I'm programme lead for a masters in online and distance education programme. Prior to that, for many years, I was a tutor in online and distance learning across the Arts. 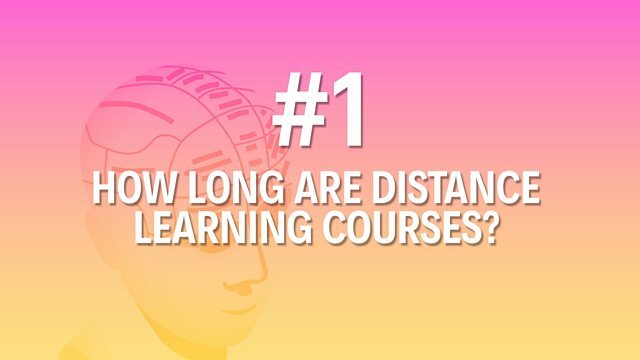 While there's no typical distance-learning course the length can range from anything from a few months to several years, depending on the institution and the subject being studied. Students can stay motivated when they're studying by trying to apply their learning to contexts they find interesting – perhaps something to do with work or something to do with their family setting – and choosing a study pathway that fits their own interests: that can be a real motivating power. When you're in your third or fourth year of distance learning, it can be both easy and difficult to stay motivated. By that time, you may have what we call 'study lag': so after several years, you may be thinking, “Ugh, yet another year of studying: yet another year where I can't have that social life that I wanted, and where I have to be continually making compromises in terms of getting the time needed to study.” However, in the third or fourth year, the end is also in sight, so there could be incredible motivating power in thinking, “Ah, it's only another nine months and then I'll have this qualification.” So, it's a two-way thing really. If a student gets a grade that’s lower than they're expecting, that can be a real de-motivator: they can end up feeling really fed up and sometimes wonder whether it's worth carrying on. At that stage, it's vital to talk to your tutor. They can help you to understand whether you've actually answered the question that was set – often that can be a problem – and they can help you to plan for getting a higher grade in future. As a distance-learning tutor, I'd be very surprised if a student didn't encounter at least one crisis during their course of study. Distance learning involves fitting in study around other aspects of your life and so there will be multiple points of which there are challenges and crises – so yeah, perfectly normal. They should communicate with their tutor, who will be best placed to help them through this crisis — help them manage their study strategies. And they should also talk with their peers. Other students can be a huge source of support. We hope you picked up some useful tips. Let's review the #6 things we've learned about going the distance on your academic course. There's no typical length for a distance learning course – they can range from anything from a few months to several years. Stay motivated on your course by applying what you learn to your day-to-day work or family life. It can be easy to lose motivation on a long course of study – you need to keep in mind that the end is in sight and you will get there! If you get a grade that's lower than you expect, it's really important to speak to your tutor – they can help you improve your grades in the future. If you have a crisis on your distance learning course – don't panic! Most distance learners have a crisis at one time or another. If you do have a crisis, talk to your tutor! They will be able to help you with study strategies to make sure you don't get stuck! You can find out more about Leigh-Anne and get more tips about studying by distance learning by visiting our partner The Open University. Click below to find out more.